Updates for Adobe Stock Contributor Portal, Windows 10 and more. The rate at which Adobe has been coming up with enhancements is a good reason to subscribe to the Creative Cloud. 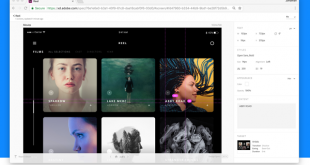 Adobe's just-released update to Adobe XD includes some changes we have been eagerly awaiting. Will save a lot of time in your design work.